After cleansing & day cream application, apply 7 dots of BB+ Cream all over your face and neck. Massage gently in an upward motion to blend evenly onto skin. Works well as a make-up base! In case of any skin irritation, discontinue use and contact Unilever Careline. Do not use on damaged skin. Avoid contact with eyes. In case of contact, rinse thoroughly with water. FULL SIZES: 8g/ 25g PRICE: PHP 189.00/ PHP 389.00 AVAILABLE AT: All leading supermarkets, drugstores and department stores nationwide. Also available in Lazada and Zalora online retailers. 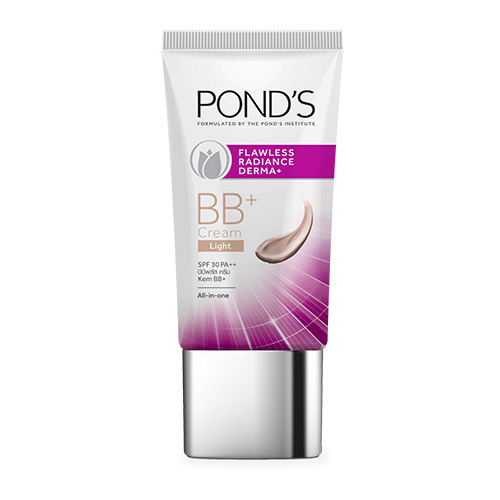 SOCIAL MEDIA: Facebook: https://www.facebook.com/PondsPhilippines Youtube: http://www.youtube.com/pondsph Twitter: www.twitter.com/PondsPH Instagram: www.instagram.com/pondsph/ Website: www.ponds.com.ph Grab yours now at Sample Room!